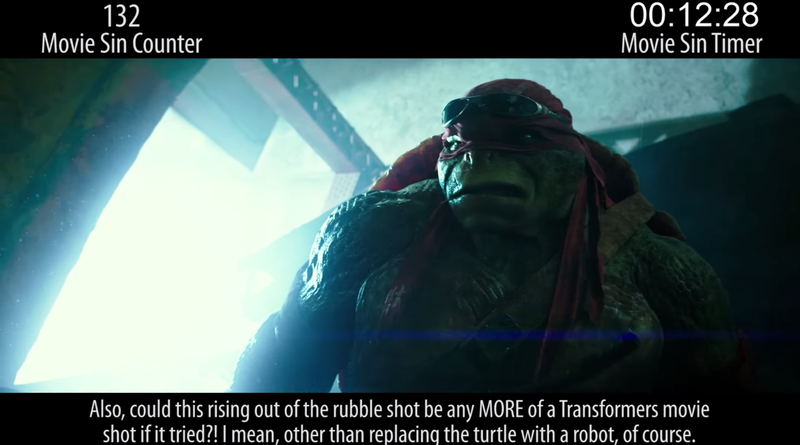 Last year's TMNT movie had so many problems with it. Like hundreds of them, according to Cinema Sins. Many of them involve Skype. Loads of people went to see the Michael Bay-produced reboot of the TMNT film franchise last year. Judging by the sheer amount of stuff that does not compute in Cinema Sins' 22-minute round-up, many of those moviegoers had to be rolling their eyes at the plot of the martial arts action blockbuster. I mean, so much of this happening in broad daylight and no one knows about Leo, Mikey, Raph and Don at the end of the movie? Come on.